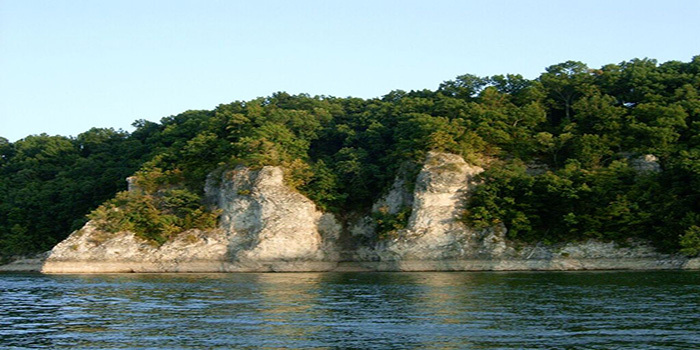 Located in the foothills of the Ozark Mountains, Lake Tenkiller is certainly a sight to be seen. Simply by looking at it’s emerald water, and wooded coast, you just want to immediately dive in! Not only is the lake renowned for it’s waters and woods, but also for all of the ways you can enjoy it. Here’s three ways to explore and discover Lake Tenkiller. The most obvious, but the most rewarding! The lake is such a beautiful body of water that simply by looking at it, you’re going to want to load up your boat and hit the road. If you don’t have your own boat, don’t worry, because the lake is jam packed with boat rentals, and if you’d prefer to paddle there’s also a wide array of kayaks, canoes and much more. Tenkiller isn’t your average lake, it’s calming emerald waters are something that you certainly want to explore. SCUBA enthusiasts love Lake Tenkiller, but for more than just it’s size. Lake Tenkiller is home to an underwater diving park which offers a wide array of sunken attractions. When going for a dive at Tenkiller State Park, you’ll be pleased to find quite the selection of submerged items —including a bus and an airplane fuselage. However, don’t think that swimming the Lake is only for SCUBA divers! Simply paddle or boat to a nice spot, and take a leap to enjoy swimming the beautiful waters. One of the many charms of Lake Tenkiller is the fact that the experiences far extend the lake. The numerous nature trails, and state parks are a haven for outdoor enthusiasts of all walks of life. From causal hikers and trekkers, to avid campers and birders, the paths surrounding the lake are a “must-do” experience. If you’re tired of roughing it, Tenkiller has that, too! The lake is just a short drive from a wide array of shops, restaurants, marinas and even a golf course. Lastly, if you’re looking for a great place to stay, with warm knowledgeable locals that will help you plan your perfect outing –shoot us an email today! We at Terrapin Peak want to help fall in love with our town, lake and all of it’s wonderful offerings. This entry was posted in Terrapin Peak Bed, Breakfast & Beyond by Mark Marcelletti. Bookmark the permalink.